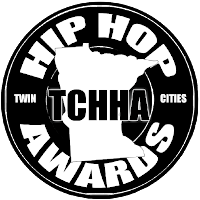 I'm up for three different Twin Cities Hip Hop awards this year: Best Album (for "An Unwelcome Guest"), Best Label (Tru Ruts) and Best Knowledge Spitta. You can vote here. I know a lot of people write off the TCHHA because of the seemingly random nominee list, the public voting system and the fact that last year's show got shut down because of a fight (I was backstage; was going to perform shortly after), and all of those things are valid. But it's still a really cool event. The Twin Cities hip hop scene is much bigger than most people give it credit for. 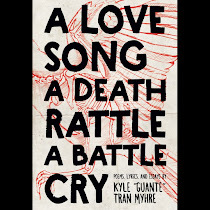 It's not just Rhymesayers and Doomtree, and it's also not just them and the second tier of underground acts like Hieruspecs, Kanser, Big Quarters, Kristoff Krane, No Bird Sing, Maria Isa, me and a couple dozen others. The scene also includes a whole bunch of artists who represent a whole bunch of different communities and styles, communities and styles that are all but shut out of local media and segregated from the more well-known acts. So if nothing else, it's very cool to see all these different people in the same room at the same time. It's really the only event in town that does that, and that should be applauded. I got asked to perform again this year, but I was already booked-- hopefully it's a big, beautiful night.